I would love to take this space to thank Clae. I’m not talking about personal thanks for all the support shown to this unusual media through past seasons but rather for bringing some order in this chaos. True beauty is timeless and goes beyond trends and this is what this post is all about. While out there the sneaker challenge is all about the ugliest and the least inspired (read most copied) style, Clae stays in its lane. This means that the work ethic of this Californian brand follows a philosophy where essential design and quality of its leather are the reasons that allow Clae to be on the market since 2001. The Gregory Mid that you see here in Elena S hands is a mid top sneaker whose full grain leather construction conquers you at first sight. Blending an olive matte perforated vamp with a black silhouette is the smartest thing to match all your camouflage and army green apparel. With its evident retro basketball inspiration, this silhouette lays on a cupsole construction that is enough padded in the midsole to cut drastically its break in period, making a pleasure to walk with since the first step. 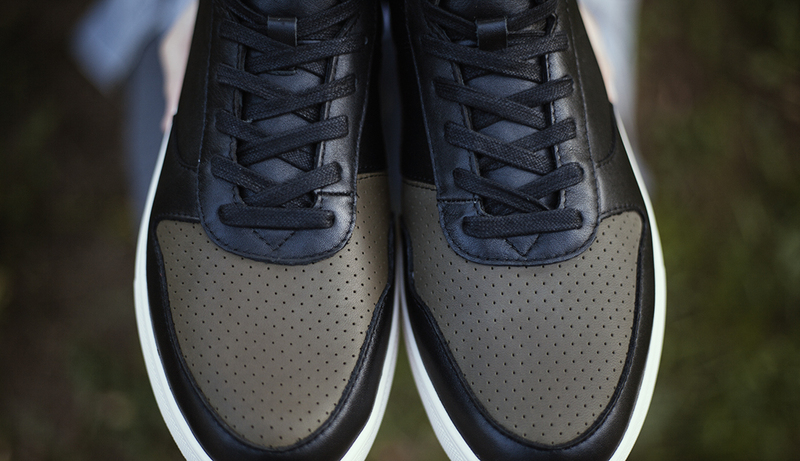 Look at how the branding on the tongue stands out matching the vamp but if your pant cover the top of this sneaker the Gregory shows almost no sign of branding, letting its leather do the talking. 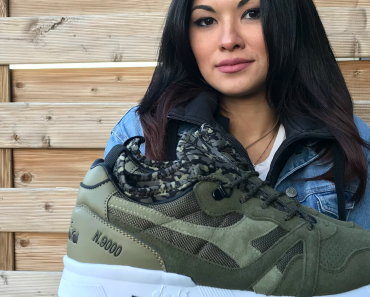 This lifestyle sneaker falls into the mid category that is literally the best of both worlds: it gives all the freedom to move to your feet while keeping you protected like an hightop. 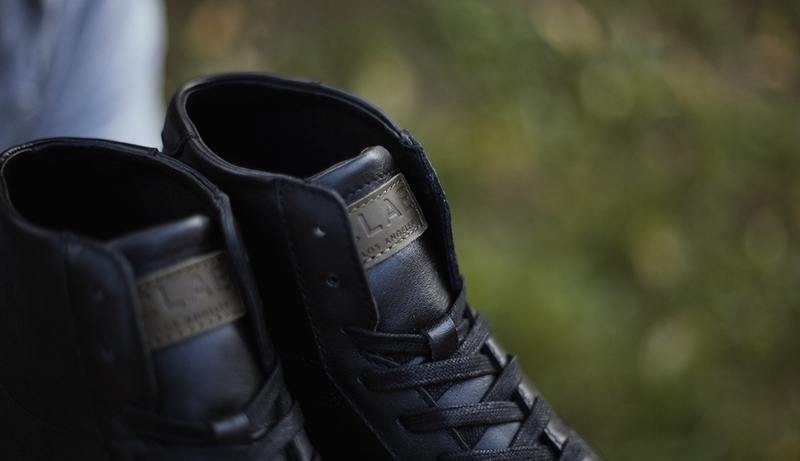 As an icing on the cake you even have waxed laces that give you the picture on how details matter to Clae. As you should know by now Clae is a brand available through Blue Distribution so if you consider yourself a lover of true beauty, now you know where to ask further questions.